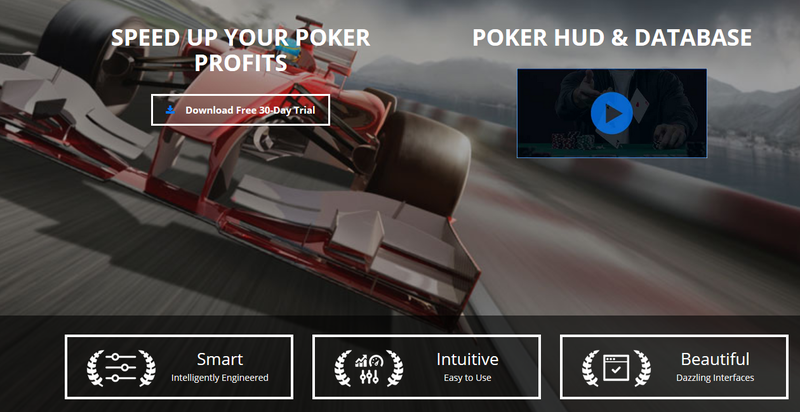 Currently DriveHUD supports the following poker sites: Bovada, Bodog, Ignition, Betonline, Sportsbetting.ag. We've been a long time members of the Cardschat community, and we look forward to building and supporting a product that can grow and scale as the needs in online poker change. We are very open to feedback, suggestions, and feature requests. Our goal is to make the easiest to use product that can meet a beginners needs, and the most experienced online poker grinders. We want to do all of this will offering affordable and fair pricing to the poker community. and presume you had approval from mods before posting. So I will comment on this. Personally I would prefer all computer assists to be banned, but unfortunately TWO, now ONE company were always allowed to sell their software to give unfair advantage to those that paid for it. While even self written tools could be punished. That said your tool looks good, and at least provides an alternative to the previous monopoly. YW.... all feedback and suggestions are welcomed. We have a lot of new features that will be going in soon as well. Is this compatible with the new update on betonline? No. Not yet. It will be hopefully on this monday - 8/1. Does this software work on PokerStars? If not, is there any plans for it to be compatible with PS in the future? Bovada, Bodog, Ignition, Betonline, Sportsbetting.ag. Chico network support is being added back in on monday after their software update this past week. Know issues: On first load, sometimes HUD doesn’t snap to table in correct position. If you move the table it will move to correct position. Already corrected BOL? Issue and from the network Chico Tigergaming supports too? And does this work Postgre? positioned the program for BOL and Bovada, and will you support other sites in the future? We are adding Tigergaming in the near future, yes. More sites will come online as well. And yes it's postgres, but it's hybrid. It uses most of it's data in a proprietary file system we developed. But it does store some data in postgres 9.5. Ever going to get support for ACR/BCP ? Looks impressive, like something in a flight simulator. Do you think it will pass the stricter requirements that sites like Pokerstars have brought in. Also does it not detract from the game and the biggest winners will be the ones who can analyse all the permutations of the software quicker/better or the actual players. American based sites, yes. Eventually we'll add those as long as they allow a HUD. Well, it doesn't support PS, but you can contact them and get certain permissions on things. As far analysis of things, I mean you can make private tools that would do some pretty crazy analysis. Nothing like that exists for public sale because it would get banned. DriveHUD is just a poker database and HUD like HM or PT, but it's better of course. There's a lot more we'll be adding in the future, and the goal is always ease of use, and lots of useful features at a low cost. - Fixed Several mtt issue (mtt disappear after table had been switched + handle situations when dh started after mtt). - Fixed rake issues in Omaha hi/lo. Never jumped on your card catcher as I was hardly playing there, but this is so affordable to buy now and upgrade as you move up. Upgrade at any time. DriveHUD scales up as you need it. We don’t force you into options you don’t need right now. No auto renewal either! Good time to try it during the drip deposit bonus on Ignition - it will pay for itself in no time. Hi, just wondering if you support or plan to support macOS? Thanks for the love and comment. Yeah, my team and I have wanted to do this for awhile. We needed to change some current poker partnerships before doing it, but our goal is to make a very affordable and scalable HUD that meets the poker communities needs. 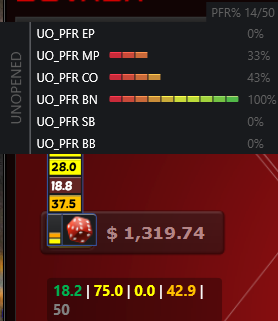 As a poker player myself, I wanted to set a HUD and database up the way I'd want it done. This is just the very beginning of what we're doing, and even in the next couple of updates there's going to be some very cool stuff coming down the pike, including the new HUD creator. I'm super happy with how things have turned out, and we've been getting immense support and all positive feedback to this point and we haven't even done any advertising yet. It's all pretty much been word of mouth, or forums like CC that are super cool and have our backs. Thanks D'wilius (https://www.cardschat.com/members/d-wilius/), and look forward to the feedback. We listen and implement most suggestions. Yeah, I'll update in here as we add sites. Asking again because I think my post might have been overlooked - any plans to support macOS? Yes, but we're working on getting more things into the windows version first. But that is the plan. It won't be in the immediate future though. Ok, cool. Good to know it's in the cards for the future. I am considering giving this HUD a try as I recently have been doing the majority of my grinding here. Is there a free trial and has anyone else tried it? What do you think? - Pokerstars support (beta). No Zoom until next build. - Added HUD popups for player ID, session graph, VPIP, PFR. - Added tournament stats M-ratio and BBs to HUD. - Added new aggression calc stat TAP (true aggression post-flop). - fixed wrong player name in the tooltip. - fixed UO PFR stats. - Fixed DH not ejecting from the Poker client on closeup. - Added the ability to edit tournament type. - Added advanced logging option. - Split chico network sites. - Changed update message box to be top most. - Fixed issue with 4 main hud stats on HUD page not reflecting changes. - Fixed HUD showing on wrong position after hero is moved in mtt. - Added "Processed data location" setting. 888 poker support, winning network poker support, PS zoom support, "bumper stickers", more HUD pop-ups, heat maps, EZ HUD designer platform. - BOL Software update fix. 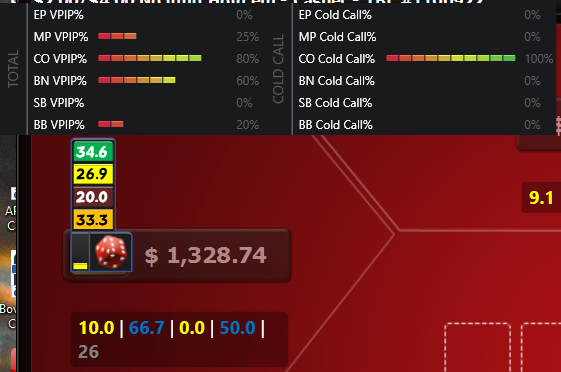 - Added HUD popups for 3-bet, AGG%. - New Recent AGG% Stat added. - Site Settings for PS added w/ preferred seating. - Donk bet stat added. One quick note about the new pop-ups. Since street agg% in the HUD is new, the data is only going to list for these stats from new data. Meaning previously caught data won't be listed. No real way around this, but this will only apply to Chico network of course and PS (beta). I know several of you have asked support about what TAP% is as well. I'll explain this in more detail soon. My goal isn't to create a bunch of new stats. I want to stay with many of the standards, but there's a few things as a player myself I've wanted that I think will add more value, and I'll list those out and explain them as we go. I promise. One and Done – A player who c-bets at a decently high rate, but then gives up on the turn and river too much. 3 for Free – A player who 3-bets a little too much, but folds to a 4-bet too often. Way too Early – Someone who open raises too wide of a range in early position pre-flop. This is a hot fix to try and recover on any Ignition disconnects quicker and better. It also has a fix for incorrectly labeling some Omaha limit stakes. 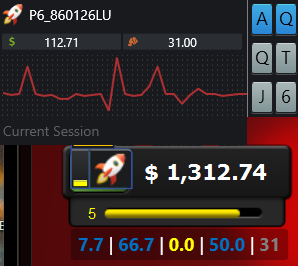 I'm a little bit confused about if the hud works or not on Pokerstars. In the web page is said that it works on Bovada and BetOnline, but there a image of Pokerstars in the main page. In the faq, Ps is not mentioned, but in the post above looks like there is a beta version for it. If I download the trial, it will work on ps? DriveHUD currently supports Bovada, Bodog, Ignition, Pokerstars (beta), BetOnline, Tigergaming, and Sportsbetting.ag. So not sure why that wasn't clear, but I'm open to suggestions on how to make it more clear. Bottom line, yes, it will work with Pokerstars. You're wright about the faq, my bad. But the image in the main page is kind of confusing, anyways. The line above the images doesn't mention pokerstars. But the phrase below repeats the information including ps. I made a fast read and didn't realized that. I'm having really good results on 0,50 S&G on PS without using a HUD, with about a 90% of ROI, but I'm thinking about try higher stakes. I'm sure that it will be more difficult and a HUD would help me a lot. I'll download the trial, and maybe purchase it later, I think you have a really affordable price. I think the point of that highlight though is that it works with two sites that other databases don't work with. Those sites don't provide hand histories, so it's not easy to get a HUD to work with them. But at some point we'll have an additional point that will just list out all of the poker sites it works with. how r u supposed to start this hud?? 1st start ps then hud ??? which way should work ? Either way it will work. The previous version though, there's no auto created HUD's in the build. You'll have to add stats to the table type you want for pokerstars. For the newest build, there's default HUD's included. I'll post that one up here in a bit. so, basically it's no "live" hud stats?? Yes, it's all only live HUD stats. Try downloading and installing the latest version. If you can't get a HUD up for some reason, then please let me know. This version has pokerstars default huds (you don't need to create them yourself). If you're on pokerstars you need to make sure you're enabled downloading of hand histories on the pokerstars client. The drivehud manual will explain how to do this if you're not sure. I have a question, John. I downloaded it, open the software, but I opened a home game in PS and the hud didn't started. It doesn't work with Home games or it doesn't starts automatically and I need to do something to it? Did you setup/enable Pokerstars to download hand histories to your computer? hi John, downloaded and re-installed, but still no go with live hud.